In January 2018 the Stobs Camp Project passed a special milestone. Since the beginning of 2016 our family of volunteers have worked over 4,000 hours on the project! The images show a flavour of their passion and dedication and some of their wonderful stories. Here’s to the next 1,000! Top row, from left: excavating the route of the light railway, schoolchildren surveying a drying hut, conducting genealogical research and surveying the camp with a Total Station. Second row: discussing metal-detecting finds, using a plane-table to record a hut, drawing a section of a practice trench and exploring the ground levels in the former cemetery. Third row: volunteers helping the Edinburgh Archaeological Field Society conduct a ground resistance survey in the former cemetery, annotating the hundreds of postcards, creating a building condition report and processing finds. 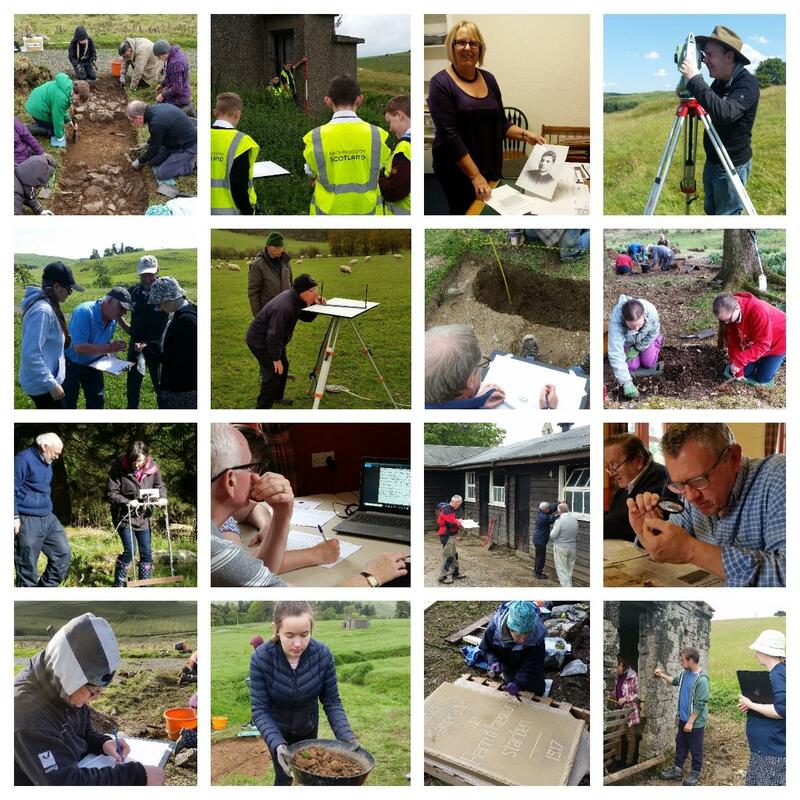 Fourth row: recording an excavation, sieving for finds, carving the memorial stone inscription and assessing the risk to a First World War building.